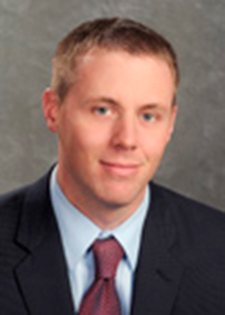 Matt Arnold is an equity analyst in the research department of Edward Jones, where he is responsible for coverage of stocks in the industrial and materials sectors. Arnold has been featured in the Wall Street Journal, Forbes, Barron’s, Bloomberg, the New York Times and the Chicago Tribune. In addition, he has appeared on CNBC, Bloomberg Television, BNN and National Public Radio. Arnold began his career with Edward Jones in 2000 in the equity sales service department and has been with the research department since 2004. Arnold graduated from Southern Illinois University with a bachelor's degree in finance and a minor in accounting. He earned the chartered financial analyst (CFA) designation in 2003 and is a member of the CFA Institute and the CFA Society of St. Louis. Austin Goins was a graduate assistant at the Paul Simon Public Policy Institute and served as vice president of the Graduate Business Association. Goins is an account supervisor at FCB Global in Chicago, specializing in digital marketing for international clients. She has been a leader in her professional positions and in targeted service commitments. 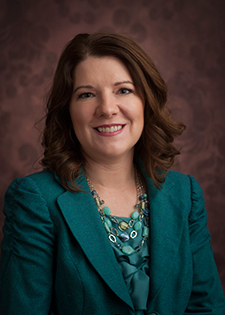 Goins has been active in the SIU Department of Marketing’s External Advisory Board since she graduated. She also developed and led the annual “Run for Their Lives” 5K at Walker’s Bluff benefiting the Cache Creek Animal Rescue, acting as race director and leading the promotional efforts for the race. 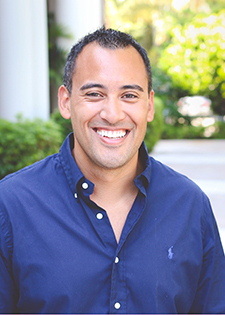 Casey Jackson is a technology professional and entrepreneur. Jackson began his career in the technology field shortly after obtaining his Bachelor’s Degree from Southern Illinois University of Carbondale in 2004. After building a foundation of customer service and technology at A.G. Edwards & Sons, Inc. he accepted a position with Benjamin F. Edwards & Co. in 2010 as a technology engineer. Jackson has enjoyed the creative and entrepreneurial demands associated with his role as manager of infrastructure and support as the organization has continued their growth. In 2015 Jackson and his business partner filed for a patent on what they refer to as a Bunker table, which can be summarized as a four-sided shuffleboard table. They like to say that if shuffleboard, curling, and chess had a baby, that baby would be a Bunker table. Jackson and his business partner are currently in the infancy stages of bringing this product to market, yet are excited about the potential and experience that will come with it. 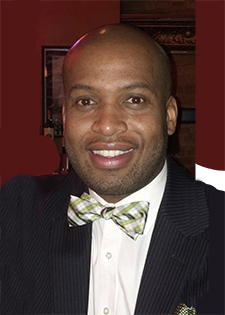 Jamel Jackson is a nine-year veteran at Tyson Foods, where he serves as the senior pricing manager, overseeing pricing strategies and solutions for their Foodservice Division. Before working with Tyson, which recently acquired Hillshire Brands/Sara Lee Corp., Jackson worked for Computer Sciences Corp. as a senior financial analyst. His first job after graduating from college was serving as a program control analyst with Northrop Grumman Corp. in Rolling Meadows, Illinois. Jackson, who hails from Chicago, attended Chicago public schools and graduated from Von Steuben Metropolitan Science Center High School. At Von Steuben, he excelled academically while playing on the basketball team. Jackson earned his bachelor’s degree in accounting at Southern Illinois University Carbondale, where he stayed to obtain his MBA. In graduate school, Jackson served as treasurer of the Black Graduate Student Association, held an assistantship as a staff accountant for the residential towers and provided tutoring services to students. Jackson is a proud member of Omega Psi Phi Fraternity Inc. He has been involved with various community service activities such as Salvation Army food drives, gathering clothing for the homeless and assisting with other special events. 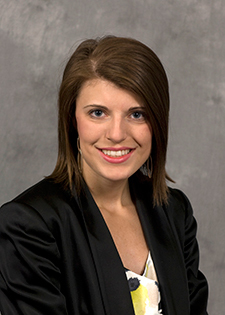 Allison Niendiek is a future product marketing manager with John Deere Harvester Worldwide Product Development. She takes on the company’s global marketing lead for future combine programs, works with Europe and South America Strategic Marketing, and develops solutions with engineering to meet customer’s crop harvest needs. Originally from Teutopolis, Illinois, Niendiek now resides in LeClaire, Iowa. She received a degree in marketing with a minor in history from Southern Illinois University. As a student, Niendiek was a member of Alpha Kappa Psi, the American Marketing Association, the College of Business Student Council and was a Saluki Ambassador. She holds an international business certificate from Ecole de Management in Grenoble, France. Robyn Phelan graduated from SIU in 2011 with degrees in Marketing & Speech Communication with a specialization in Public Relations. 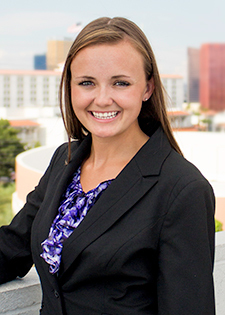 A few weeks after graduation, she headed to Las Vegas to intern for the inaugural Digital World Expo which was organized by a fellow College of Business alumnus. During her four years in Vegas, Phelan was a leading digital advertiser for brands such as Cirque Du Soleil LOVE, Terry Fator, The Mirage, Circus Circus Las Vegas, and Palms Casino Resort. In February of 2015, she made the move back home to Chicago and accepted a position with Walgreens. As Social Marketing Manager, Phelan is responsible for the social voice for Walgreens, Duane Reade, Beauty.com & Drugstore.com and oversees the paid social, content and community management teams to ensure a successful presence across all brands. Dana Robinson began her accounting career with Kemper CPA Group in July 2002 at the Harrisburg, Illinois, office. She became a partner in July of 2011, then became partner-in-charge of the Harrisburg office in 2013. 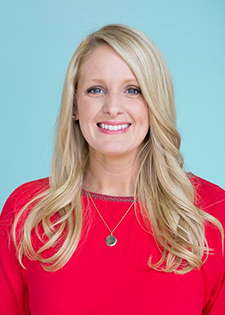 She serves as chairman of the firm’s recruiting and retention committee, and in September 2014 was appointed by the firm’s managing partner as the regional administrative partner for the Southern Illinois/Paducah, Kentucky, region. Working for Kemper CPA Group has allowed Robinson to focus on tax planning and business consulting for small- and medium-sized businesses, as well as retirement plan administration. She also specializes in QuickBooks consulting, and leads training sessions for current and prospective clients. Robinson is a member of the Southern Illinois University School of Accountancy Board of Advisors, American Institute of Certified Public Accountants and the Illinois CPA Society. She volunteers for numerous organizations, including serving as a board member for the Christian Community Compassion Center and Workforce and Illinois Small Business Development Center at Southeastern Illinois College. Robinson and her husband, Jeff, have two children, Peyton and Kathleen, and reside in Elizabethtown, Illinois. Jeff Rose is a certified financial planner professional, and is CEO and founder of Alliance Wealth Management LLC, an investment advisory firm. Rose is an Iraqi combat veteran, having served in the Army National Guard for nine years, including a 17-month deployment to Iraq in 2005. He is the founder of GoodFinancialCents.com, recognized by Kiplinger’s as one of their Top 10 money blogs you should read, and is the author of “Soldier of Finance,” his book that combines his military background with his financial planning knowledge. He also is the editor of LifeInsurancebyJeff.com. Rose writes for Forbes, U.S. News & World Report, Investopedia and MarketWatch, and he has been featured in major sites such as Huffington Post, the Wall Street Journal, Reuters, USA Today and Fox Business. In his free time, Rose loves hanging with his family, tortures himself with Crossfit workouts and daydreams frequently when he can chow down on an In-N-Out Burger again. 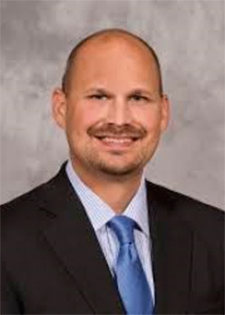 Joel W. Sambursky founded Liberty Wealth Management in 2012 during his fifth year as a financial advisor for LPL. Before becoming a financial advisor for LPL, Sambursky became the youngest executive director in the history of the Carbondale Chamber of Commerce while completing his master’s degree in business administration from Southern Illinois University in 2007. Sambursky holds his Series 7 and 66 registrations through LPL Financial, and he is passionate about helping his clients pursue their financial goals and objectives. Teamwork, leadership and competition are important qualities in his life. As Southern Illinois University’s quarterback from 2002-2005, he led the Salukis to three straight conference championships and NCAA national playoff appearances, played in an unprecedented 49 consecutive games, became the first Saluki to be voted the “Toughest Saluki” for four straight years by his teammates and set many Saluki quarterback records. Sambursky serves the southern Illinois community as a member of the Southern Illinois University Board of Trustees and previously was involved on the board of directors for the Carbondale Community Arts. Sambursky also is a past president of the board of directors for the Carbondale Chamber of Commerce. His wife, Samantha, was a four-year letter winner for the Saluki women’s golf program. They have three children: a daughter, Laney; a son, Jase; and a newborn daughter, Josephine. Dan Wilcoxen moved to Springfield, Illinois after graduation where he started his professional career as an audit associate at McGladrey. 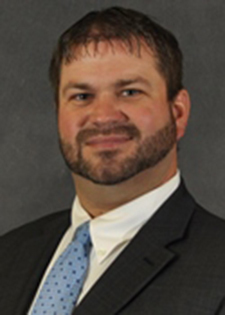 While working full time at McGladrey, Wilcoxen continued his education at the University of Illinois at Springfield and earned a master’s degree in accountancy in 2007. Wilcoxen is a certified public accountant and serves as the chief financial officer of United Community Bank and its holding company, United Community Bancorp Inc. United Community Bancorp Inc. is a four-bank holding company with nearly $1.8 billion in assets. Wilcoxen and his wife, Angela, have 3 children: Carly (10), Ben (9) and Emma (5). 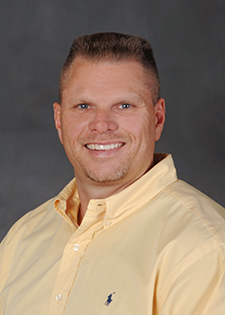 Wilcoxen is an avid sports fan, and he enjoys coaching and helping out with his children’s many sports activities. 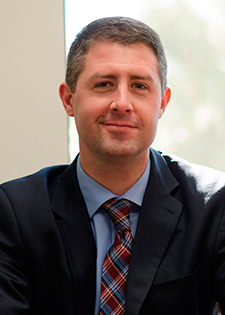 Matthew S. Wood is an assistant professor of entrepreneurship at Baylor University. He joined the Baylor faculty in the fall of 2012 after earning his Ph.D. from Southern Illinois University and serving on the faculty at the University of North Carolina Wilmington from 2009-2012. Before entering academia, Wood was the third-generation owner and president of a growing commercial printing firm. Wood teaches in the areas of strategic management and entrepreneurship. His research focuses on understanding how entrepreneurs and investors make decisions about taking action on business opportunities. He has published more than 25 academic articles, with many of those appearing in the top journals in the field. His research and expert opinion has been featured in outlets such as the Wall Street Journal and the New York Times. Wood lives in Waco, Texas, with his wife, Pam, and their two teenage children. He enjoys traveling and exploring new places with his family.